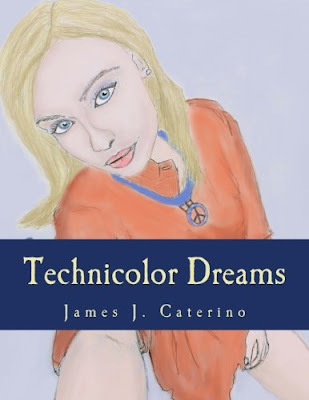 James J. Caterino : 'Back to the Future' meets 'Somewhere in Time' in time travel thriller 'Technicolor Dreams"
'Back to the Future' meets 'Somewhere in Time' in time travel thriller 'Technicolor Dreams"
Brimming with suspense, heart, and humor, “Technicolor Dreams” is a delightful, entertaining, time travel romantic thriller from the acclaimed and wildly controversial author James J. Caterino, the visionary imagination behind the “Caitlin Star” series, “Steel Phantom”, "The Last Neanderthal”, and “Among the Stars”. On June 7th 1969, four year-old James Bava was saved from death and pulled from the river by actress Kara Stone. Four days later, Kara was the first victim of the Oakland Butcher, a notorious Pittsburgh serial killer who was never caught. James went on to have a career in Hollywood as a stuntman. But he never forgot his angelic savior, and decides to make a movie about Kara Stone. While doing research for the film, James accidentally discovers a way to travel back in time to 1969. This time he will be the one saving Kara. At least that is the plan. But James soon discovers that stopping a serial killer and changing the past is far more difficult, and dangerous, than he could have ever imagined.